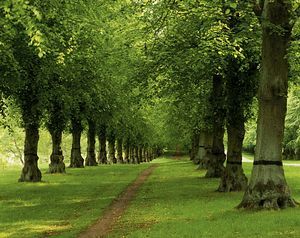 Clumber Park in Nottinghamshire is a magnificent 3,800 acre country park, now managed by The National Trust. The original grand country house was mentioned in the 11th century Domesday Book as a monastery. Unfortunately the original building of Clumber House, home to the Duke of Newcastle, was destroyed by fire in 1879 and the house was rebuilt, only to be badly damaged in 1912 by another fire. Left abandoned, the mansion fell into ruin and was finally demolished in 1938, leaving the walled kitchen garden, the Clumber Chapel, the exotic gardens known as the Pleasure Ground and the serpentine lake for our enjoyment today. and is the longest in Europe. It provides a grand entrance and a spectacular year-round display, from the buds in spring to the beautiful bronze foliage in autumn. One of the remaining buildings from the original estate is the Chapel of St Mary the Virgin, built around 1886 which is open to visitors as a place of quiet contemplation. It has a splendid 180-foot high central spire and an informative guide is available detailing the Victorian treasures within. The best time to visit the chapel is between April and early January as it gets a thorough spring clean and conservation treatment during the early spring and is closed to visitors - at least those not armed with dusters and beeswax polish! Clumber Park has an informative Visitor Centre which tells the story of the estate's history and landscape in an interactive exhibition. A model of the grand mansion and videos tell the whole story of this historic estate. 450 feet and now grows produce for the café. 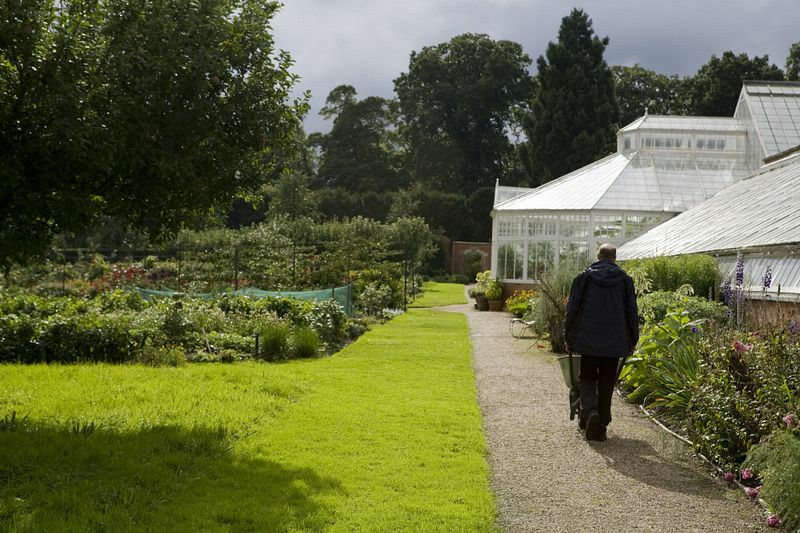 Free audio guides are available at the entrance to the garden, with information provided by Clumber Park's Head Gardener, Samuel Barker. 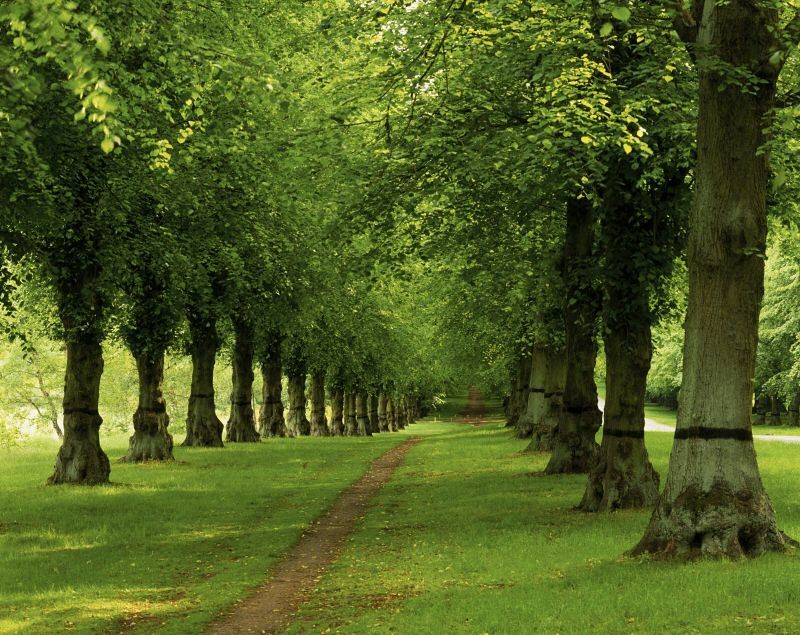 Clumber Park is ideal for peaceful country walks with some amazing local scenery. Enjoy walking or cycling along the 20 miles of traffic-free trails around the park. Close to the house the informal gardens around the lake are known as the Pleasure Ground. They were planted in the Victorian era, when wealthy country estate owners could indulge in planting newly imported exotic plants brought back during the age of exploration. The area today has splendid colour afforded by the established rhododendrons, mock orange shrubs and beautifully maintained lawned areas. The lake was designed by Stephen Wright in 1770 and took 15 years to complete. At the end of your visit take a well-earned refreshment break in the newly refurbished, fully licensed restaurant onsite. It prides itself on using fresh seasonal produce grown in Clumber Park's own walled garden and the Sunday lunches are legendary. Complete your visit with a browse around the large National Trust shop which also has a section of plant sales and locally made crafts. 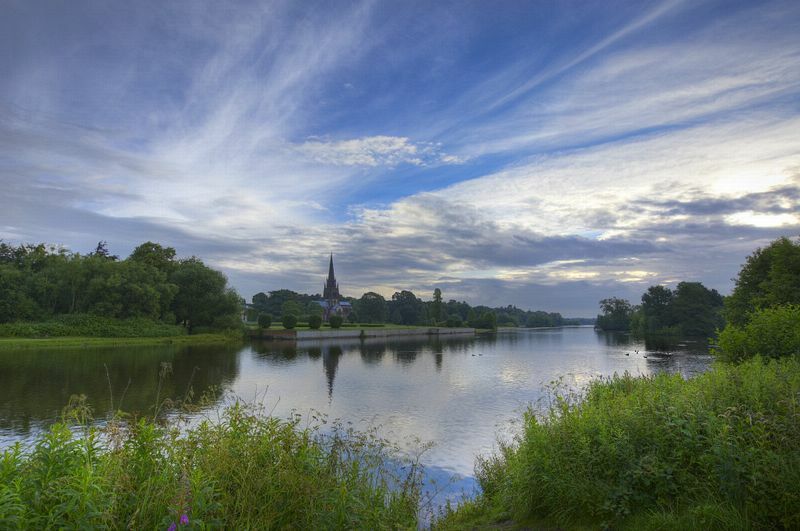 Clumber plays host to an idyllic section of the Sustrans National Cycle Network Route 6, so you can safely access the Park from both the north and south. The four waymarked cycle routes which run through the property join up with this Sustrans route. Cycle parking is available at the main visitor facilities. Sherwood Forester bus, direct to Clumber Park, Sundays and Bank Holiday Mondays throughout the summer season. Stagecoach 233, Nottingham to Worksop, calls at many tourist destinations and also alights at Carburton. Stagecoach 33, Nottingham and Worksop, weekdays. Runs close to Worksop railway station. Alight at Carburton, 2 and a half miles from main visitor acilities. Worksop railway station: 4 and a half miles. Retford railway station: 6 and a half miles. 4 and a half miles SE of Worksop, 6 and a half miles SW of Retford, 1 mile from A1/A57, 11 miles from M1 exit 30.